If you have received counselling in the past then chances are that you will have seen a therapist trained in cognitive behaviour therapy or person centred therapy. These are both well practised therapies. Transactional analysis (TA) was created in the 1960's by Eric Berne. It's a therapeutic communication model, so using it therapeutically helps you understand and decipher all the internal communications (thoughts) you have with yourself and externally with others. One of the exciting things about TA is the simple models and language it employs which help you to understand why you have become who you are today and how and in what ways you relate to other people. Relating is key in depression. Often described as a passive behaviour, it is a key defence mechanism against the issues you face. Finding ways to understand the unconscious process you are running will help throw up options of how to think, feel and behave differently in order to progress to healing. TA does not provide a magic wand, no therapy does, but TA does give a dynamic and fresh approach to counselling that at its heart is the belief that we all can all think for ourselves and that we are all OK (in the non-judgemental form). Dr Mark Widdowson of Salford University has produced evidence to confirm that TA is an effective therapy for depression and anxiety. I see this most days in my practice and it makes me excited for the future. 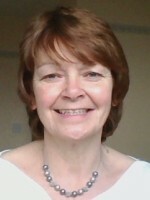 Patricia Lyon holds a Diploma in Transactional Analysis Counselling and is working towards MSc Psychotherapy (TA).